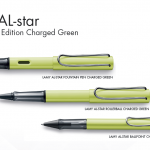 This new model very closely resembles the Al-Star, but with a few subtle upgrades. 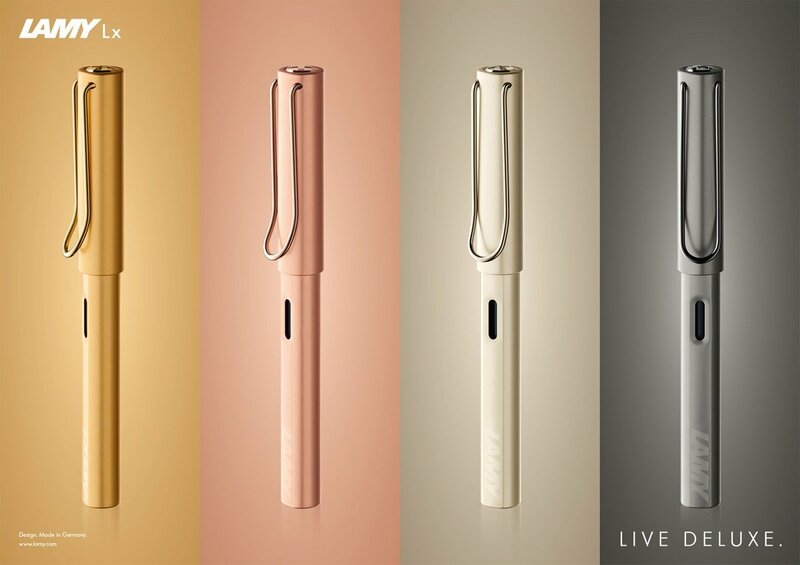 It is made of anodized aluminum in four colors (gold, palladium, rose gold, and ruthenium), with the same contoured semi-transparent grip section as the Al-Star.The iconic Lamy metal clip is plated with the matching precious metal, which is a nice upgrade.The black steel nib appears to be similar to other Lamy nibs, but it does have some subtle design changes. The nib features a glossy black PVD-surface as well as a laser engraving similar to what you would see on jewelry. 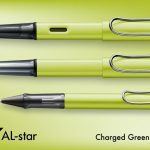 These design improvements make the nib more solid and long-lasting. 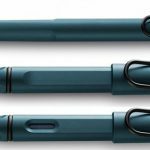 Luckily, it will also be interchangeable with existing Lamy nibs and we will be offering extra-fine, fine, and medium nibs on the Lamy LX. 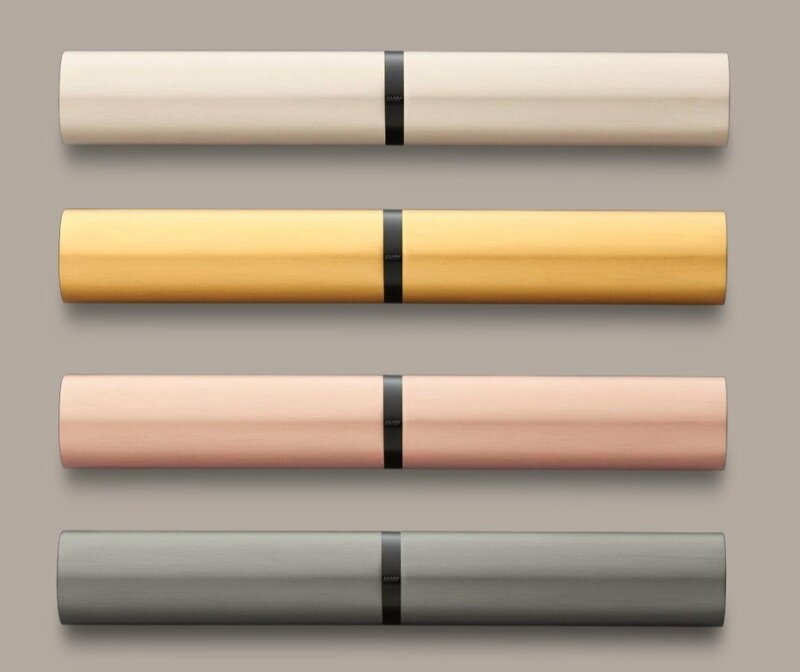 The LX comes with a matching aluminum case, also anodized to match the pen. 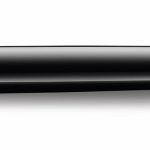 The Lamy Studio Piano Black Fountain pen – a beautifully-finished all-metal design. A contemporary take on the classic cigar-shaped barrel design. High-quality lacquer finish and polished chrome fittings. The distinctive propeller-shaped clip is striking and practical. Designed by Hannes Wettsein. 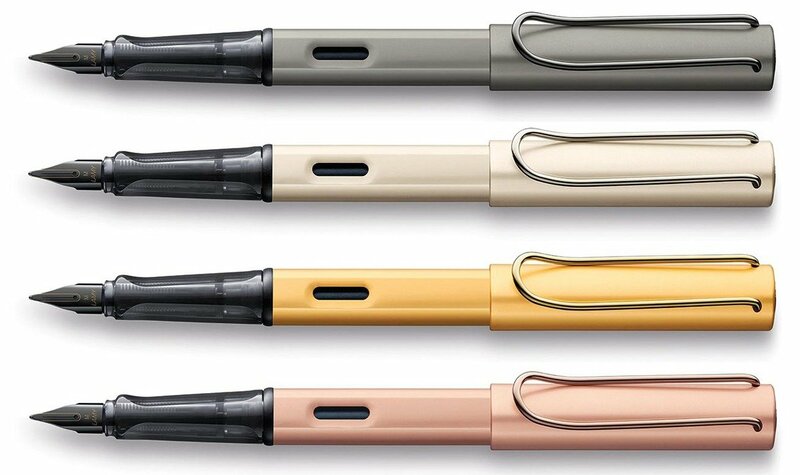 The fountain pen has a inkt cartridge/converter filling system. 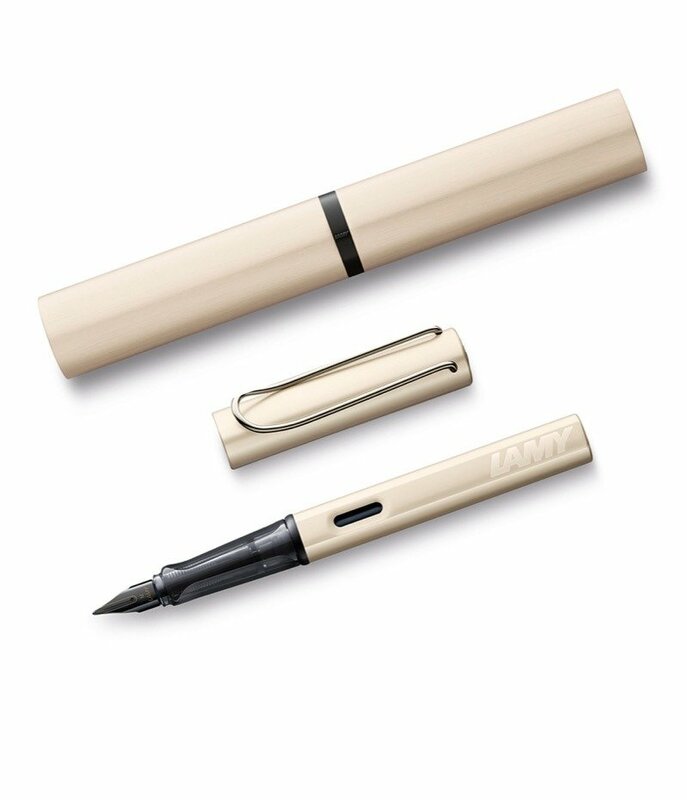 It has a 14 ct gold nib, in several sizes. 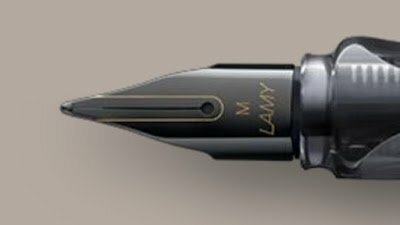 Lamy is an independent family-owned enterprise which was established in 1930 by , former Parker employee, C. Josef Lamy in Heidelberg. 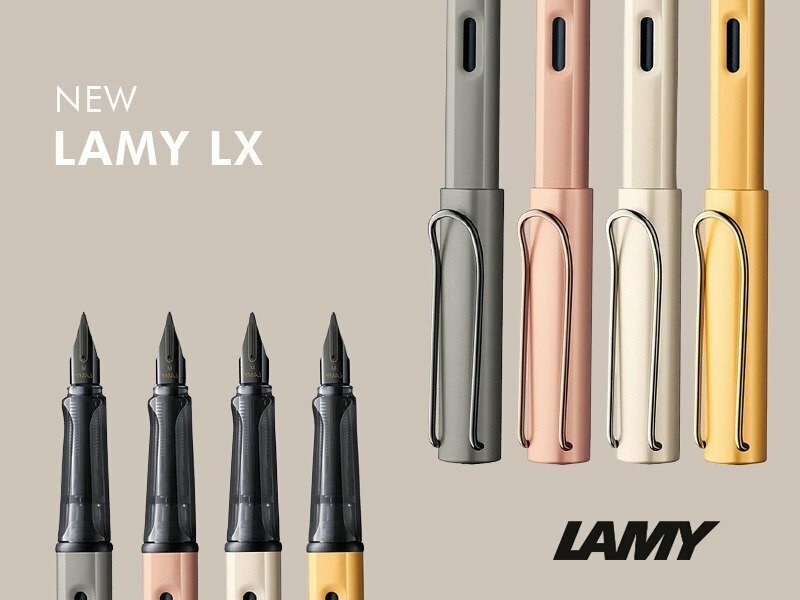 The Lamy brand has existed since 1952 and proved its innovative prowess in the very first year with the completely novel Lamy 27 fountain pen series. 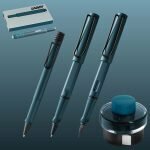 And in 1966 the distinctive style of Lamy Design was born with the Lamy 2000.Lamy Studio Piano Black Rollerball – a beautifully-finished all-metal design. A contemporary take on the classic cigar-shaped barrel design. This new version of the Studio model is made in high-quality black lacquer finish and polished chrome fittings. The distinctive propeller-shaped clip is striking and practical. Designed by Hannes Wettsein. 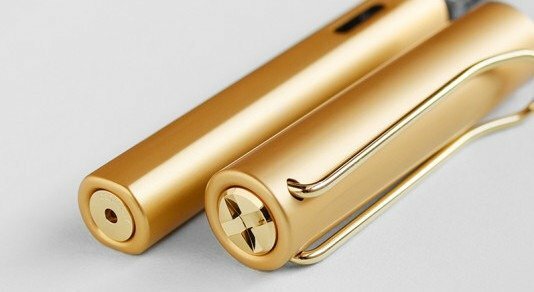 The fountain pen features a 14kt solid gold nib with cartridge/converter system. 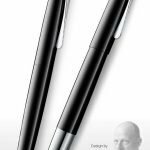 Also available the twist ballpoint and a roller with cap.